Germany's Die Zeit newspaper has cited sources as saying that Horst Seehofer, leader of the Christian Social Union (CSU), German Chancellor Angela Merkel's Bavarian sister party, plans to stand down as party chief in the next few days but that he will continue to work as federal interior minister. A spokesperson for Seehofer, in turn, pointed out that Seehofer had not committed to resigning from this job. 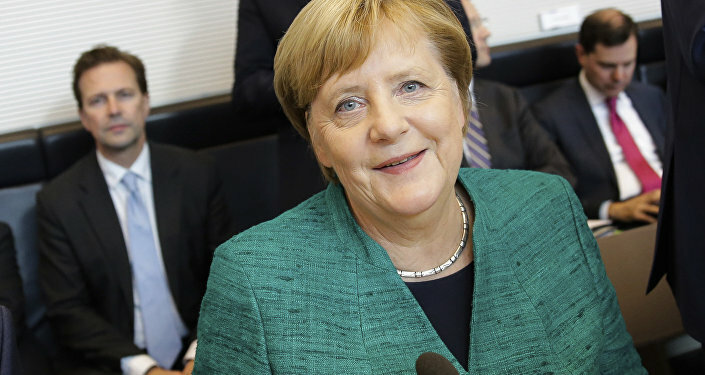 The remarks came after Merkel announced in late October that she would not participate in the Christian Democratic Union (CDU) leadership contest in December and would step down as federal chancellor in 2021. She revealed that she had made the decision before the parliament's summer recess. "I do know this hasn't been done before, it is unprecedented, but I believe it offers far more opportunities than risks for the country, for the German government and for my party," Merkel said, adding that it was "time to start a new chapter". She made the announcement a day after her Christian Democrats suffered serious losses in a state election in Hesse, tumbling 11 percentage points since the state's last election in 2013 to control 27 percent of the vote. She admitted that her party would have secured better results in Hesse's regional election but for its performance at the federal level. The popularity rating of the Christian Democrats has been waning in all nationwide polls; its sister party, the CSU, also lost 10 percent of the vote in October's state elections.